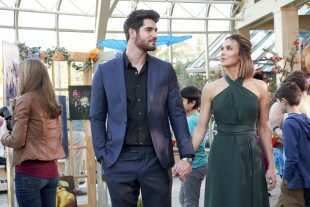 Arielle Kebbel returns to Hallmark Channel Saturday night for the first time since 2015’s Bridal Wave in A Brush With Love, an art-themed romance co-starring Nick Bateman (Winter Wedding) in his Hallmark debut and directed by Peter DeLuise. The script is by Joie Botkin and Katherine S. Chang and Robin Karfo. 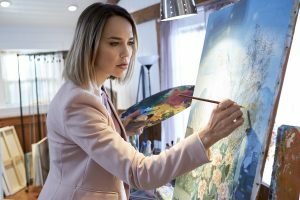 Kebbel plays Jamie, a painter who shelved her own artistic ambitions after a romance blew up and instead channeled her energy into a studio teaching art students. 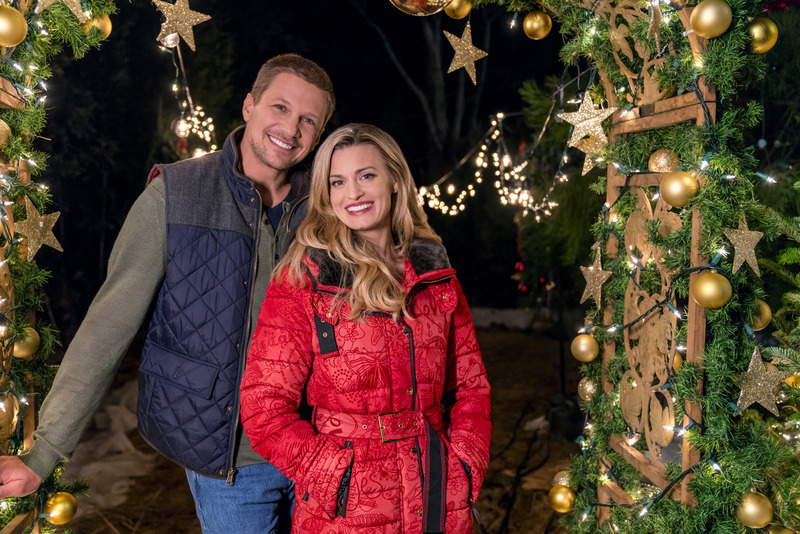 Just as that’s about to franchise into another location her dad (Hallmark regular Daryl Shuttleworth) is getting off the ground, her life blows up a little bit again with the arrival of two very different suitors and a chance to return to her dream. Michael (Matthew Dowden) is a businessman and philanthropist who takes an interest in Jamie and becomes one of her students. 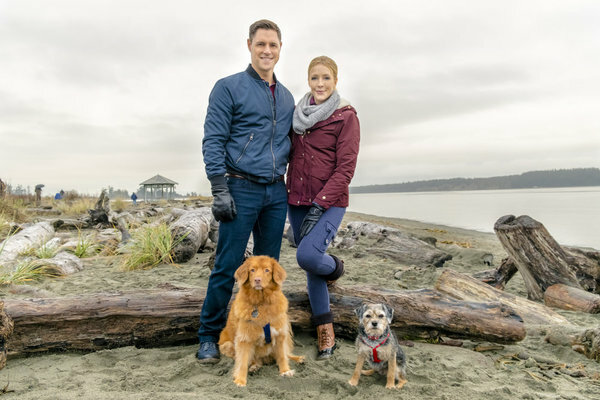 Max (Bateman) is an old high school friend and brother of her BFF, Ava (Van Helsing‘s Hilary Jardine) who returns to town and moves in downstairs. While Michael is staid and dependable and perfect on paper, Max is cavalier and more carefree–he has a Masters in Landscape Architecture but works as an arboretum’s groundskeeper to avoid the paperwork. As Jamie warms up to Michael, she struggles to complete a new piece for Renee (Brenda Crichlow), the director of a local festival. She sees something magical in the new piece as it relates to Michael, until she questions whether she perhaps didn’t read the universal cues exactly right. 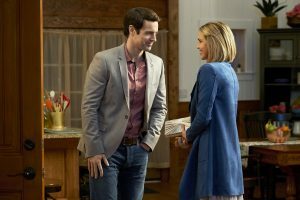 Max keeps popping up and turning on the charm, at which Jamie bristles more and more, still hanging onto something from their past that’s also revealed to be a misunderstanding. Then just as it seems like they’re on the same page, we get the wrinkle that puts them that at odds. Kebbel is always fun in these, and she has a great rapport with Jardine, who gets a chance to be super light. Bateman and Dowden are new to me, and they’re both good as two guys who have something very distinct to offer Jamie, and she has to decide whether to listen to her heart or her head or some version of both. 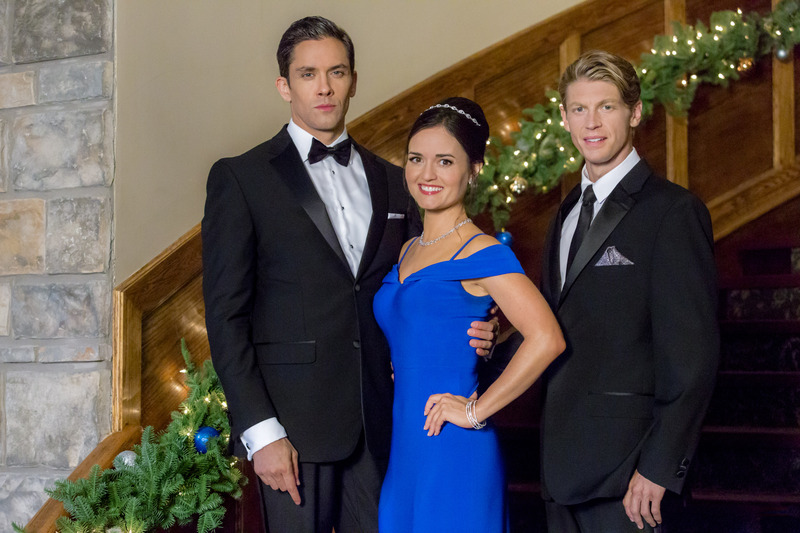 A Brush With Love premieres Saturday at 8 pm/7c on Hallmark Channel. Here’s a sneak peek.